ZED-420 is excellent for bands, houses of worship, theatres or AV applications. It has a truly professional feature set, which will fit any sound reinforcement application and professional PA hire stock. 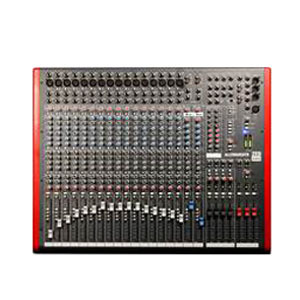 ZED-420 has Configurable USB audio in/out makes it easy to capture stereo recordings, 16 mic or line inputs plus 2 dual stereo inputs, 4-band EQ with MusiQ, 4 sub-groups, 6 auxiliary sends and a 7×2 matrix. ZED-420 has a tuned 4-band EQ taken from the acclaimed GL2200 mixer, utilising MusiQ with optimised slope (or Q factor) for equalising individual instruments.